The Group Risk Support Co-ordinator (hereafter referred to as GRSC) is responsible for requesting, checking and managing the salary roll data provided by clients in addition to requesting and checking quotations from insurers / providers. The salary information is then issued to insurers for the purpose of pricing insurance contracts in the form of quotations. These quotations are then issued, as a report, to the Sales Consultant(s), who will then present the report to the client. The salary roll data is administered within Microsoft Dynamics, with each scheme member being allocated to a category e.g. pension scheme members. The GRSC will set up these categories within Dynamics and ensure the salary data for each scheme member is allocated accurately. The GRSC will produce Quotation-Request documents through Microsoft Dynamics and issue these to insurers/ providers as specified by the Sales Consultant. The quotations are to be obtained (chased where necessary) and checked for accuracy. If there are any discrepancies in the quotations these are to be investigated and revised where necessary. The quotations received are inputted into Microsoft Dynamics via OCR. Market Review reports are run from the quotations entered into Dynamics and checked thoroughly by the GRSC. GRSC"EURTMs are responsible for ensuring revisions to the quotations are maintained in the Quotes area of Microsoft Dynamics. This includes, but is not limited to, insurer declines, withdrawals, revised rates or benefit variations. This area is to be kept up to date at all times to ensure that the Sales Consultants can select the winning quote. This process creates the Client Contract in Dynamics and renews the policy with the insurer. The GRSC will also be responsible for raising any Fee or Premium invoices to be issued to Clients. GRSC"EURTMs are to ensure that the policy information held on the Opportunity during the review process is kept up to date. Any adjustments to the Client Contract, including premium, income and contract benefits during the year are to be maintained on Microsoft Dynamics by the GRSC. This is to ensure that all departments, including Sales, Administration, Managed Care and Accounts, have access to up to date information for various requirements. For any mid-term or pre-renewal meetings with clients, Sales Consultants may require reports detailing the current basis of the client"EURTMs insurance policies. The GRSC will run these reports from the Opportunity entity in Dynamics and issue to the Sales Consultants. Clients may request reports detailing employees/categories/benefits etc "EUR" which will be provided by the GRSC. Handle Letters of Authority and Appointment (LOAs). Send LOAs to insurers to obtain policy information in order to conduct a market review. Set up and maintain organisation records for prospect clients in Dynamics. Upload required policy information, including membership and benefit details, to New Business Opportunities. Request salary rolls from clients ensuring that deadlines for renewal pricing are met and that the payroll data is checked for accuracy and completeness. Format salary data in accordance with the categories used by the Group Risk insurers to enable the provision of accurate quotes. Queries relating to categories should be raised with the client and updated accordingly. Prepare quotation request documents for both New Business and Renewal policies. Distribute quotation requests to insurers / providers. Obtain quotations from insurers, checking for accuracy. Request revised terms where required. Input quotations accurately into Microsoft Dynamics. Provide market feedback upon request. Prepare market review / mid-term / pre-renewal reports. Produce and issue Broking Fee / Premium invoices to clients where necessary. Adjust premium and income values to ensure that income is accounted for correctly and the Accounts department is able to undertake effective credit control. Ensure Tasks and Activities are kept up to date to enable accurate team and individual Key Performance Indicators. Deal with salary roll queries and provide management information as required. Maintain a working knowledge of statutory requirements, including PAYE, NI, SSP, SMP, pensions and Data Protection. Issue salary/membership reports to clients as required. 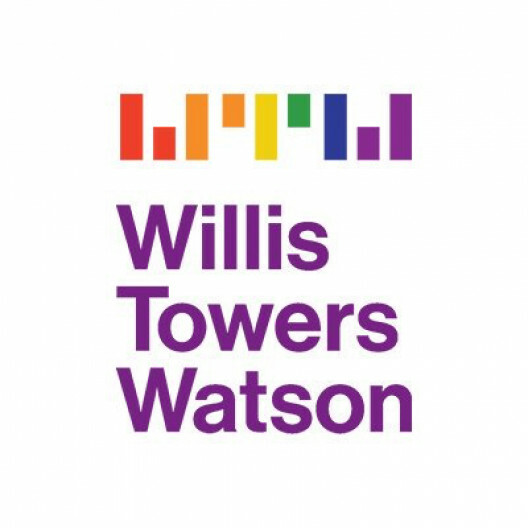 Liaise with other departments and teams within Willis Towers Watson where needed. Attend regular training and maintain up to date insurer product knowledge. Maintain accuracy of the data. Provide cover for the other members of the team. Undertake other duties as required by the Team Leader / Line Manager. Insurance knowledge would be an advantage. Knowledge of SMP, SPP, SSP, pensions and other deductions. Effective communications skills (you will be liaising with insurers and other areas of the business). Ability to plan and organize own workload. Ability to work to deadlines with minimum supervision.